It sounds like something you’re more likely to see in soap operas than in real life. But the parental nightmare of babies switched at birth does happen from coast to coast, in America and around the world too. Popular TV shows like ABC’s Switched at Birth and even popular literature have explored—and yes, exploited— this topic because it is so horrifying, yet fascinating. But if you’re growing your family, should you really be concerned about babies switched at birth at the hospital or even at the daycare center? Here are some facts. 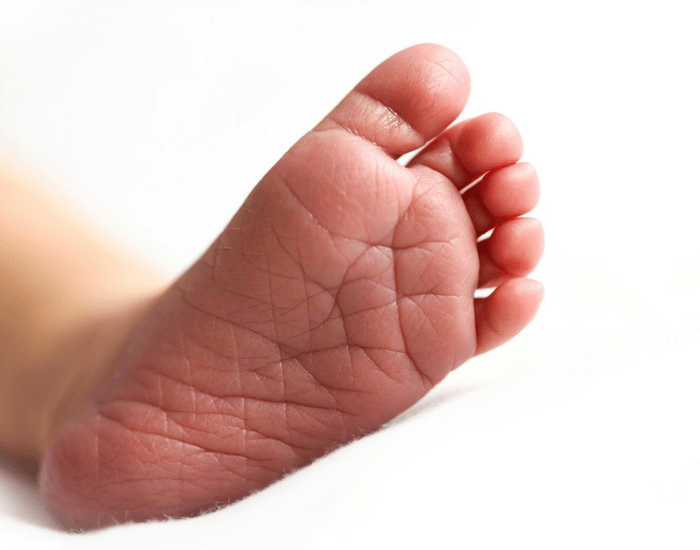 Despite the statistics above, only eight incidents of babies switched at birth were physically documented in the United States between 1995 and 2008. It may be because there is no mandate in America for incidents to be reported, which makes getting hard stats nearly impossible until that changes. When her child was two-years-old, a Russian mother discovered that her baby’s maternity-ward ID tag had a different woman’s name on it. She soon met the other mother and their sons were swapped yet again. It’s been a difficult adjustment for both families and the nurse responsible for these babies switched at birth was fired. A mother’s intuition kicked in when she was sent home from Heartland Regional Medical Center with her newborn son. She felt like something just wasn’t right. Sure enough, she found out within hours that she had the wrong boy and that her son had been sent home with someone else. Apparently, the babies’ ID tags were switched when they were circumcised. In 2015, a British man and his Salvadoran wife gave birth to a baby boy at the Hospital Centro Ginecologico. The brown-skinned, dark-haired baby looked just his mother—or so they thought. It turns out they went home to Texas with the wrong child. The couple raised the child for three months, but got suspicious. A DNA test proved the baby wasn’t theirs, and the babies switched at birth were restored to their proper families. The couple’s baby was blonde and blue-eyed after all, like his British dad. Contact the hospital where you’ll give birth ahead of time and ask them specific questions about the measures they take to prevent an accidental baby swap. It’s your baby, and you have a right to ask this important question! If you suspect that your baby or child may have been switched, or if you’re an adult who’s not sure of your parentage, the surest way to put your mind and heart at ease is to do a DNA maternity test. It works just like a paternity test: all it takes is a quick cheek swab and a desire to know the truth. Do you have questions or comments about babies switched at birth or maternity testing? Share in the comments and we’ll answer. I have doubts that i might be a baby that was mixed at birth in the hospital 60 years ago. I have try over the years to get the woman who has raised me to take a blood test she refuses. Is there any thing i can do by myself to clear up this doubt i have had to live with for so many years? Hi, C. Unless there are other close biological to your mother who are willing to test, there’s really nothing you can do. If there are other relatives and you want to discuss your best options for testing, you’re welcome to call us for a confidential consultation: 800-681-7162. I know of a woman who thinks her baby was switched at birth. Birthday….. June 3rd, 1968 Is there a place where people can search for each other in cases like this? The child in question is now missing for any chances of DNA testing. Simons… or similar spelling. Location Victoria B.C. Could be a boy or a girl. Hi, Mrs. P. Are you saying that the child raised by the woman is now missing? That’s too bad, since a maternity DNA test would have answered that question easily and quickly. The only thing I can think of is to have the woman do an ancestry test with ancestry.com and hope that the supposed other child is also uploading their DNA. Otherwise, she may want to hire a private investigator, although that’s a long shot. I believe my older brother might have been switched at birth, DEC1964 in NY. My parents were advised he died during birth. (Never discussed in our family) I understand NY records are very secure. If I submit a DNA test, he would have to have one on record already or I just wait to see one for him is ever submitted, correct? I’m currently inquiring about his birth/death records with the county I believe he was born in. Any other suggestions are appreciated. Hi, Al. You would need to check with the New York Department of Vital Records to see if a baby born in 1964 would have a blood card on record containing his DNA. You may want to try uploading your DNA to one of the ancestry-testing sites to see if you have any close matches with other people who may have made their DNA data public. Good luck! Most people who were switched at birth were born at St. Mary’s in West Palm or in Texas. Most of them were switched with babies stolen from Gainesville, Florida, who has a hospital where NO babies leave, or Lubbock, Texas, same as Gainesville. Making them the baby switched and stolen capital of the eastern and western US. This has ALWAYS happened. The greeks get left in the Italian’s place. Most switched and stolen babies are bedwetters. Where do you get this info? Proof? I have 4 children born at St Marys…. Hi what are the best advices that we can give to both mothers which their child were switched at birth just for them to deal with the situation? I learnt recently that my aunt, who is now in her 60s, I believe, was switched at birth. This was discovered when she was 16 and I was wondering if there was any way now to find out who the other person is. My grandma assumed there were no records left after the fire burnt down the hospital, which may or may not be true. Is there any way I can find my biological aunt? Hi, Jayden. The best place to start might be with an ancestry DNA company that provides the option to compare your DNA publicly with other people who have made the same choice. With any luck, your biological aunt may have done an ancestry test as well. This wouldn’t confirm the connection, but it could narrow your field of search. Good luck! Yes I believe one of my children was switched at birth. She was made aware of this when she turned about 30. I will always love her regardless of the results, but I really need answers. Her father has a new family and accepts her regardless of the results too, but I am the one who gave birth. I have every right to know who I gave birth to. Looking at baby pics of my baby photographed before leaving the hospital, several people agree, they are of two different babies. I so very much need answers. Please can you help me? Hi, Christine. That’s so tragic if you’re correct! What a lot of people are doing now is submitting their DNA to ancestry sites that share data publicly as part of their service. That way, if the other child has done testing, you might be able to get leads that way. Good luck!